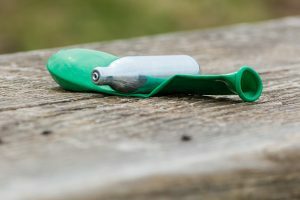 Nitrous oxide, more commonly known as laughing gas or dental anesthesia, is a naturally occurring gas that belongs to the family of non-metal oxides. It is an odorless and non-flammable gas that is commonly used as both anesthetic and analgesic agent, according to the open chemistry database Pub Chem. Likewise, nitrous oxide is used in the food industry as a propellant agent and as a food aerosol in whipped cream production. The energy industry also uses nitrous oxide as a fuel additive to boost oxygen availability in combustion. The toxic chemical has been discovered by British scientist Joseph Priestley in 1772, an entry published on the BBC website notes. Excessive exposure to nitrous oxide is known to cause hypoxia or lack of oxygen. An entry posted on the Side Effects Site website explains that hypoxia occurs when a patient stops breathing or breathes too shallowly or too slowly as a result of nitrous oxide sedation. The article notes that most symptoms of oxygen deprivation are detected early on and patients are often given oxygen and helped to stay awake in order to prevent lasting damage. However, the entry stresses that extended periods of hypoxia may result in brain damage and even death. Nitrous oxide may also cause peripheral neuropathy, a condition characterized by the onset of leg pain and numbness. The article cautions that the disorder stems from vitamin B12 depletion following nitrous oxide exposure, and may lead to a significant loss of function in the extremities. The condition may manifest within weeks or months after the exposure, the entry adds. Older people and those with poor health are at an increased risk of developing the condition. Additionally, exposure to the hazardous chemical may lead to the onset of hyperhomocysteinemia. The conditions is characterized by an increase in homocysteine levels in the blood. Health experts state that higher homocysteine levels are associated with higher odds of developing heart disease and Alzheimer’s disease. 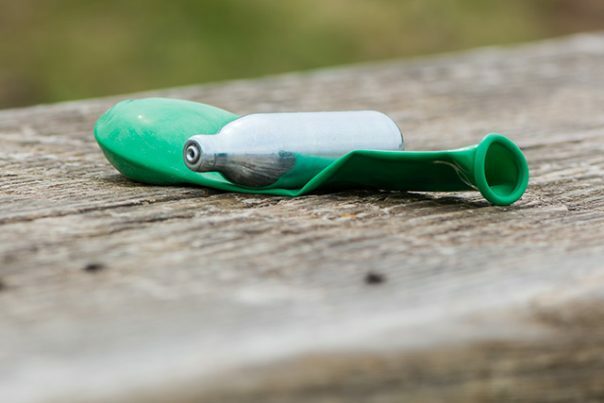 Scientists have also cited a few cases where patients with undiagnosed methyltetrafolate reductase disorder (MTHR) have died after receiving nitrous oxide. Nitrous oxide exposure may also trigger a host of neurological problems due to its negative effects on vitamin B12 absorption. According to health experts, certain groups of people are at an increased risk of developing chemical-induced vitamin deficiency including senior patients, vegetarians and vegans and patients with either MTHR or pernicious anemia as well as diabetes patients on metformin treatment and people who use the recreational drug Whippets. Nitrous oxide is usually given using a mask over the mouth and the nose, which has been proven to increase ear pressure and cause discomfort and serious hearing conditions. Scientists have noted that many children complain of hearing issues following nitrous oxide administration. Likewise, the anesthetic agent is known to cause typanic membrane rupture, sudden hearing loss and bleeding ears. Nitroux oxide exposure is particularly detrimental to the respiratory tract. Likewise, the hazardous chemical is known to negatively affect the legs and the ears. The toxic substance is also found to impact overall blood circulation. Nitrous oxide causes hypoxia, peripheral neuropathy and hyperhomocysteinemia. Nitrous oxide triggers typanic membrane rupture, sudden hearing loss and bleeding ears. Nitrous oxide exposure leads to chemical-induced vitamin B12 malabsorption and deficiency. Nitrous oxide is particularly detrimental to the respiratory system. Nitrous oxide negatively affect the legs, ears and the circulatory system.